The Centers for Disease Control wants to study the impact of expanding the Oregon Health Plan to more people. Oregon State University and the Oregon Health Authority have received $1.25 million to study the impact of expanding Medicaid as part of the Affordable Care Act. Marie Harvey is the Associate Dean for Research and Graduate Programs at OSU. She says the main objective of the study is to link data together. Harvey: "It's a time to really link data from Medicaid claims with birth certificates, death certificates, and hospital discharge data. Just to get a lot of the data out there and then be able to come up with some important research questions and be able to answer them." Harvey says the study is specific to low-income women and infants. 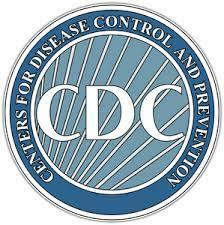 Oregon and Ohio are the only two states chosen by the Centers for Disease Control for the study. Copyright 2013 KLCC-FM. To see more, visit http://www.klcc.org.